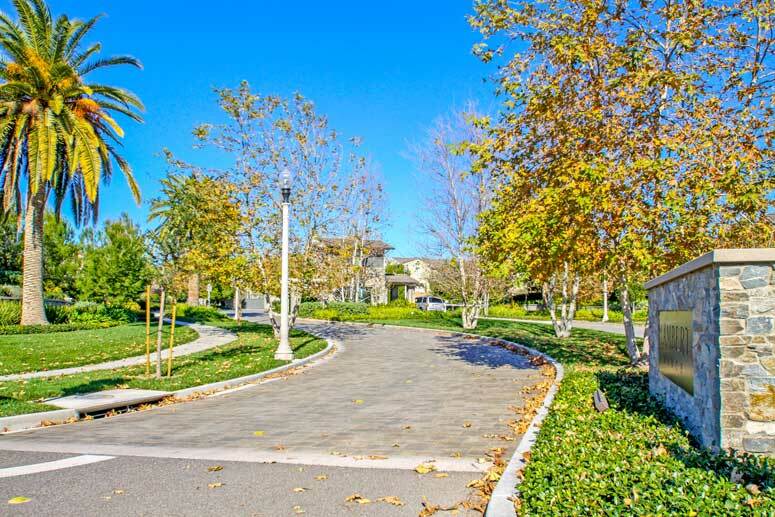 Lambert Ranch is new community and master planned development in the City of Irvine. It is located of off Portola Parkway and Sand Canyon Road at the hills of Irvine. It is conveniently located within a short driving distance to 133 toll road. Lambert Ranch is a new gated planned development community currently comprised of three smaller subdivisions. The three tracks are "The Field", "The Grove" and "The Hill" which currently comprises approximately 166 homes. This home tract offers unique home style designs catering to those larger type families who like to live with a multi-generational living together under one roof. This allows the multi-family to live together with their private quarters, detached and attached quest houses and/or private offices and studio within these large houses. Lamber Ranch community homes feature four to six bedroom floor plans with prices ranging from $900,000 to $2,600,000. Amenities are superb with numerous green parks, club house, barbecue areas, outdoor cooking, play grounds, recreational areas, swimming pools and spa. One of the great things about Lambert Ranch is that there is no Mello Roos. Schools are within the Irvine Unified School Districts and comprise of Stonegate Elementary, Jeffrey Trail Middle School, and Northwood High School. 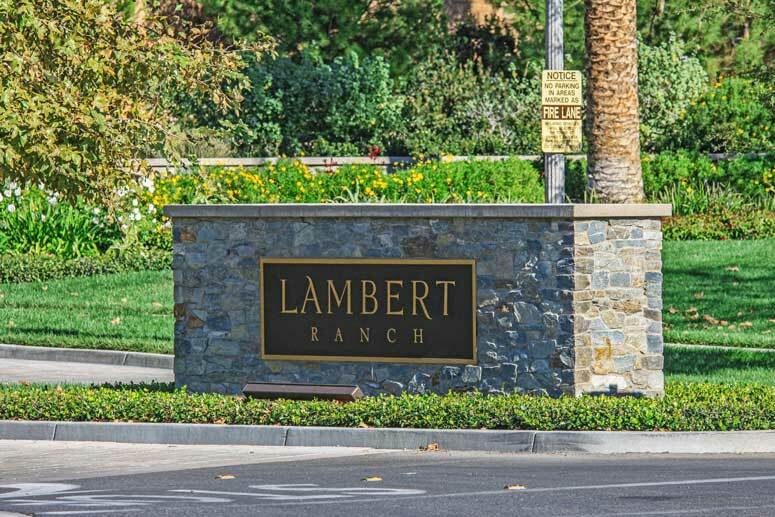 Lambert Ranch Homeowners Association monthly dues are approximately $300 a month. For information on the Lambert Ranch community please contact us with any questions you might have. No question is too mundane, we want to help!